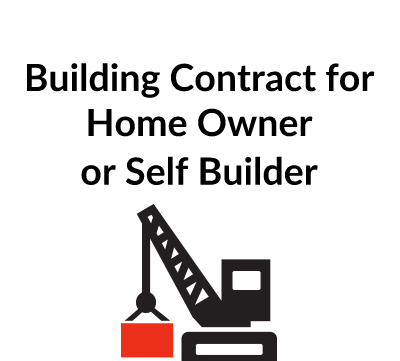 This contract is for selfbuild use by a Home Owner or Self Builder entering into an agreement with a company to supply and install equipment. The contract can be used for a wide variety of supplies such as a conservatory, a kitchen or a swimming pool. This is a fairly comprehensive document designed from the perspective of the client rather than the supplier. The contract comprises a one-page Form of Agreement, Terms & Conditions, and Schedules setting out details of the equipment to be supplied and installed plus the contract price and payment details. 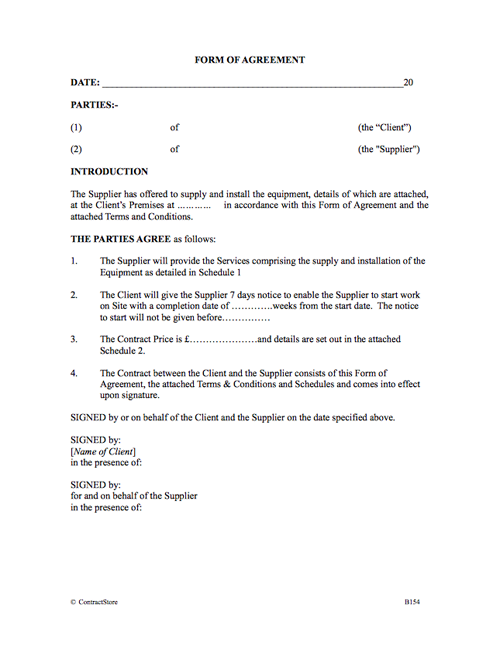 You need this document if you are a home owner entering into an agreement with a company to supply and install equipment. 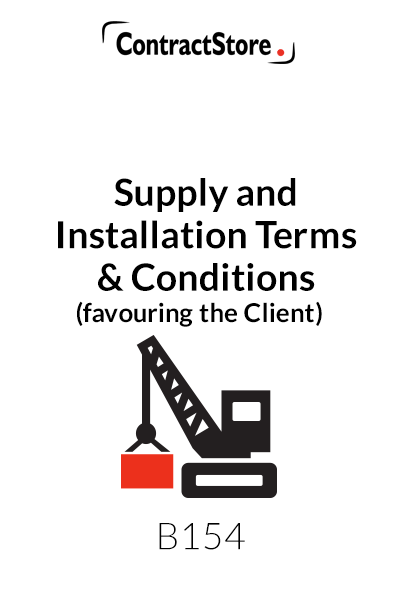 This contract is for use by a Home Owner or Self Builder who is entering into an agreement with a company to supply and install equipment. The contract can be used for a wide variety of supplies e.g. a conservatory, a kitchen or a swimming pool. This is a fairly comprehensive document designed from the perspective of the client rather than the supplier. 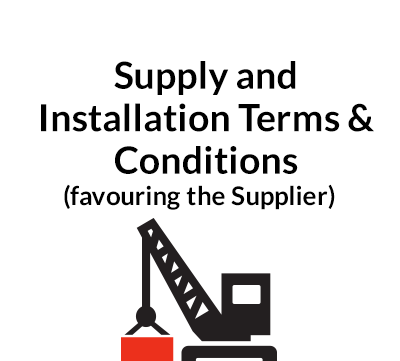 The contract comprises a one-page Form of Agreement, Terms & Conditions, and Schedules setting out details of the equipment to be supplied and installed plus the contract price and payment details. 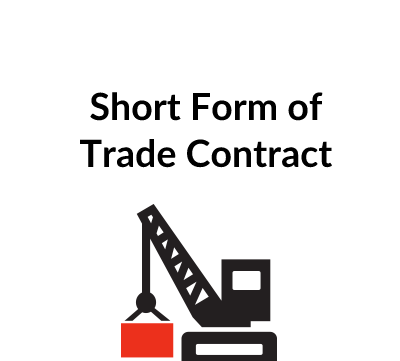 The Terms & Conditions contain 13 clauses dealing with such matters as work on site, price and payment, changes and delay, completion and defects, insurance and indemnity, termination, and resolution of disputes.